Today we can announce the exciting news that we are launching a new finance scheme, effective as of now! There are two new available plans; HP plan incorporating a payment holiday and Operating Lease, and will be running over the first quarter of 2017. 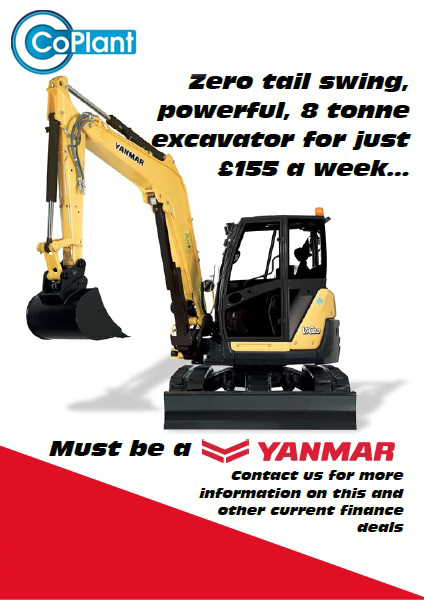 With the current uncertainty over the economy and the purse strings being tightened we see these options as a great and affordable way of being able to take on new Yanmar and Ammann machinery. 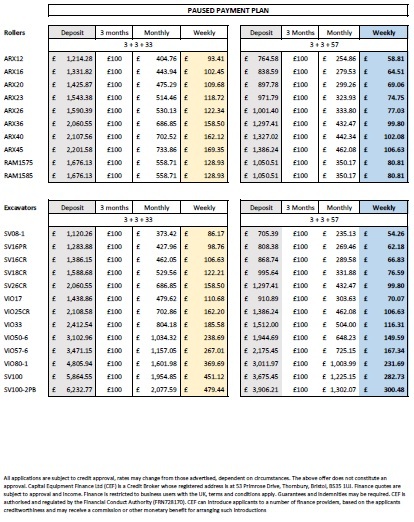 Below are some examples of the weekly prices you can now have a machine for. A complete list of models covered by the new schemes, including options of payments over 3 and 5 years can be found. We offer finance to provide solutions for your financing requirements. Finance schemes are designed around your individual business requirements and we have the backing of an experienced team to help you make the right choice at the right time. 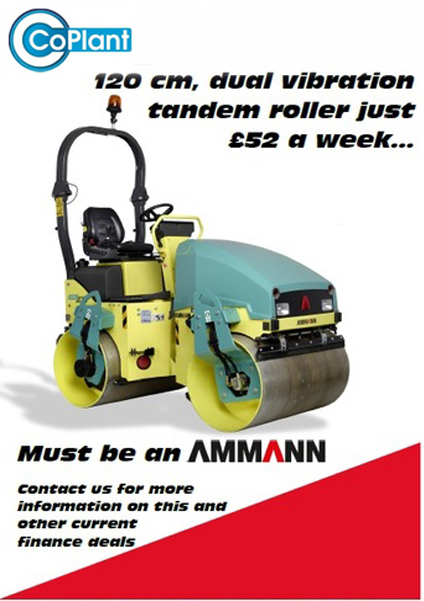 As well as offering bespoke schemes we often run product specific campaigns. Current finance options available on both Operating Lease and Paused Payment plans.